We are a full-service business law firm dedicated to solving legal problems so that you can focus on business. Client service is the foundation of our firm. We value client relationships and spend time getting to know your goals and aspirations because we understand that a one-size-fits-all approach simply doesn’t work. Instead, we examine each client’s situation on a case-by-case basis to understand the company or individual’s unique legal and business needs. Our clients are our number-one priority and we work tirelessly to ensure they are satisfied. When people hire an attorney, they are often in a crisis and are feeling high levels of stress. In such instances, it’s important to hire an attorney who genuinely cares about his or her clients, their families, their careers, and even their emotions. For those reasons, we make sure our clients not only receive high-quality legal services, but also the reassurance they seek and deserve. We serve our clients in a refreshing way that defies expectations about what it means to hire a lawyer. Each day, we strive to earn and continually keep the trust and confidence of our clients by sharing the kind of legal knowledge that enables your success and minimizes your risk. 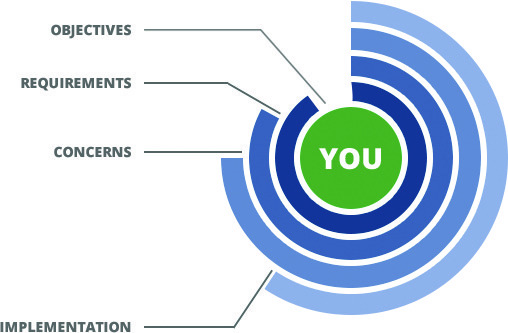 Choose us for our client-centered approach. To learn how it feels to be the center of attention, call us at 847-777-6838.